All Member Inspectors have an opportunity to provide consumers with information that confirms the inspectors commitment to the profession. We provide each member with the ability to create and update an online profile, which is validated before being published. Once a member profile has been fully completed members should receive via e-mail a digital copy of their OntarioACHI membership card. This card has the photograph the member attached to their profile, their name and professional title. A QR Code is printed on that card. 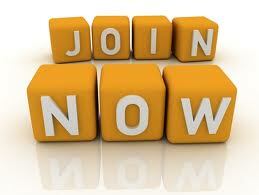 This can allow consumers to see the members up-to-date membership information. This includes any information select by the member to be added to their public profile as well as certifications they have achieved and that have been logged with, and audited by, the Association. The membership card does not display private information which the member has chosen not to advertise which is held securely. The Inspector should carry this card with them at all times in order to provide proof of membership to clients and any vendors that will provide discounts to members presenting their valid membership card. The membership card can also be used to allow consumers to view the audited certifications in a single place. 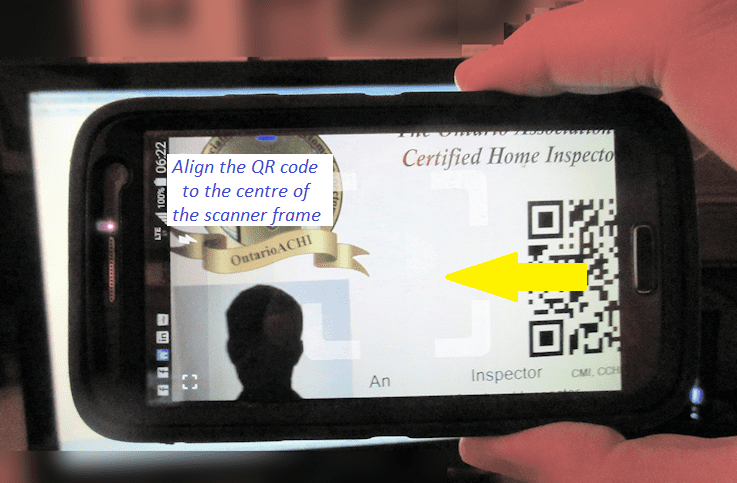 The OntarioACHI membership cards are advertised publicly to encourage consumers, potential clients, vendors and any other professional who would refer a member for service to ask for them at inspections or when selecting an inspector. 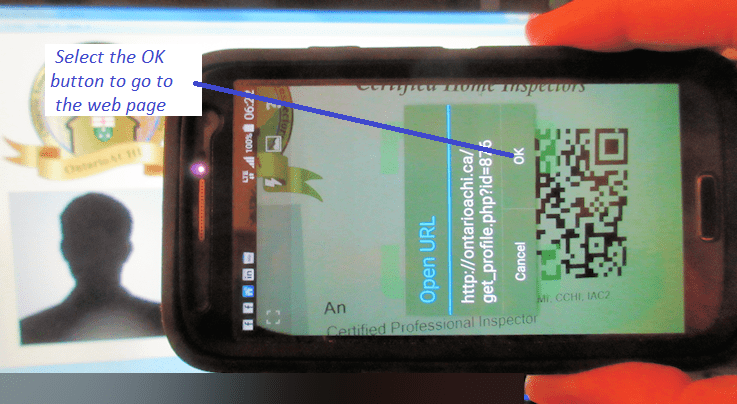 In order to interrogate the membership database from the information on the card a QR code reader must be installed in the Internet enabled mobile device. Most smart mobile devices can do this directly from a browser session. 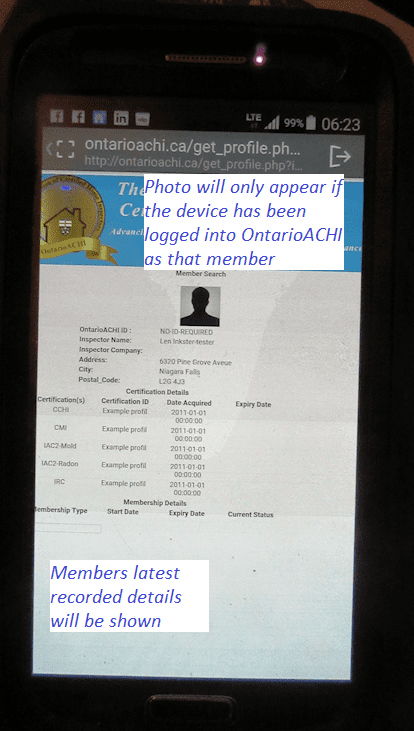 We recommend our members have this setup on their devices in case a client cannot and log in to the OntarioACHI website to allow the photo to be displayed.. Using the system is a three stage process. The photograph is considered private information and can only be viewed in the device has already been logged into the members account at OntarioACHI. No other private information is visible using this method.